Good morning, friends! Today is the day many of you have been waiting for since January! Well, today’s your lucky day! 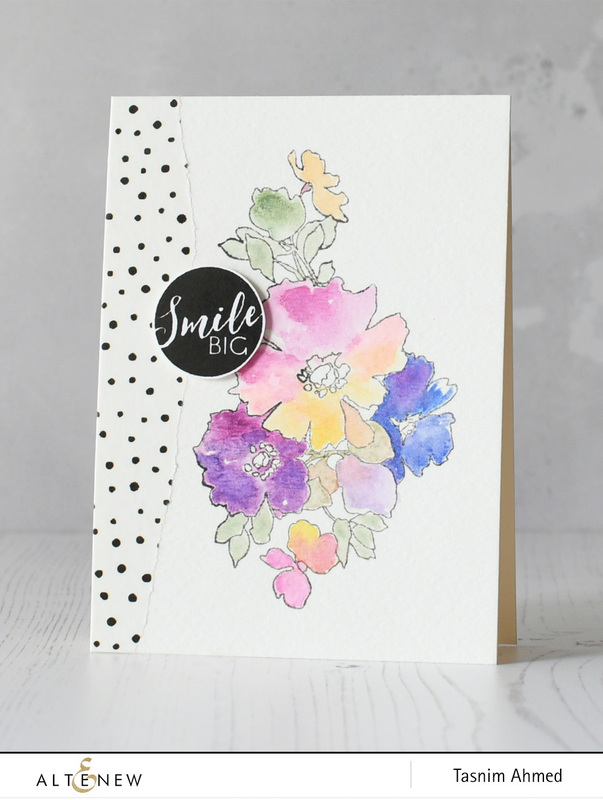 We are thrilled to introduce this fantastic watercolor set, featuring colors that were carefully selected to coordinate with our inks. In addition, we are releasing 3 sizes of watercolor brushes (Fine, Medium, and Large), and 2 watercolor palettes (Medium and Large)! Before we get to the details, let’s check out some projects! Limited time offer! 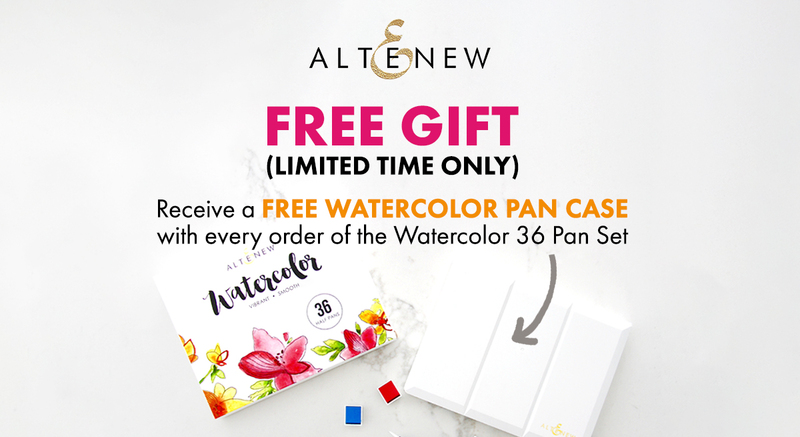 Receive a FREE Watercolor Pan Case (value $5.99) with every purchase of the Watercolor 36 Pan Set for a limited time. The free gift will be added to cart automatically. You can use your second pan case to create a custom color set! To celebrate this release, Altenew is giving away a $50 gift certificate to SIX lucky winners! 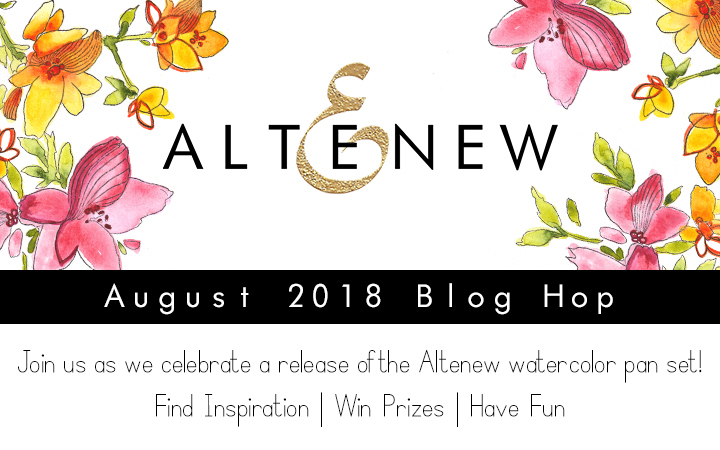 Please leave a comment here on the Altenew Card Blog and/or Altenew Scrapbook Blog by 8/15/2018 for a chance to win. 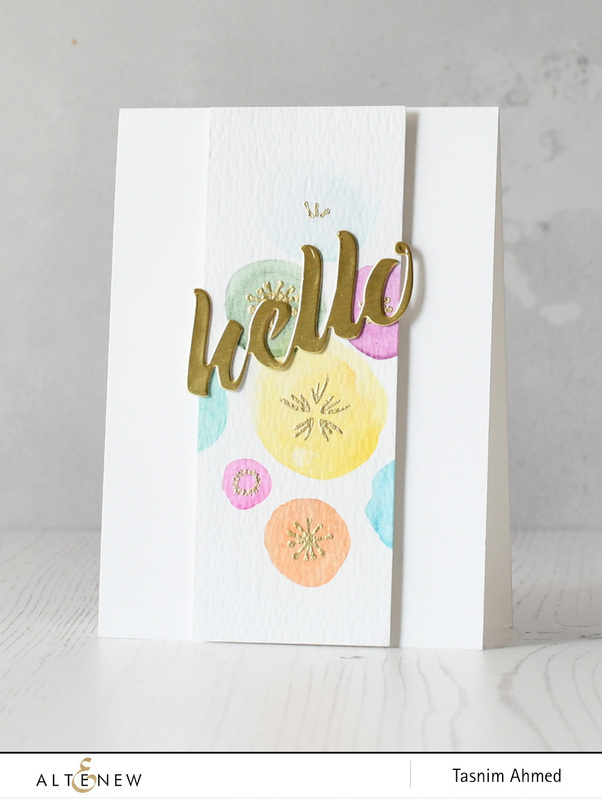 Six winners will be chosen on both blogs, three on the card blog and three on the scrapbook blog, on 8/19/2018. All our new products are now available in our store! You can find them here. 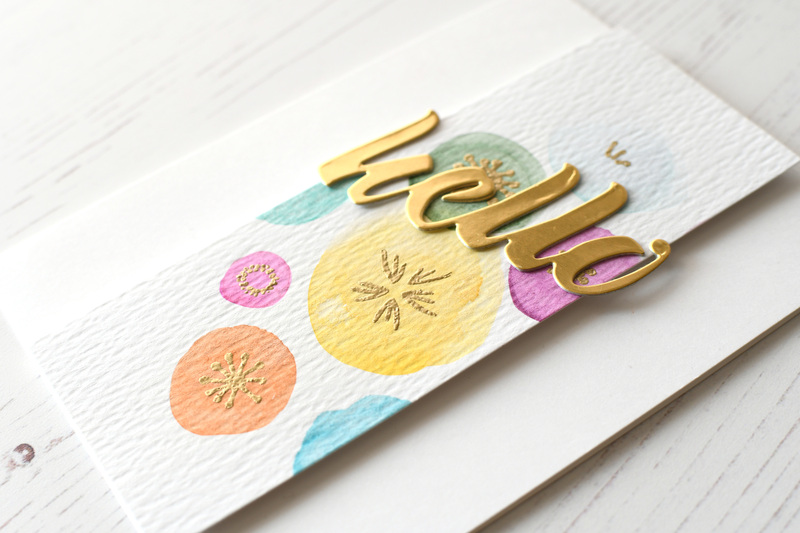 These colors and the sample cards I have seen using them are gorgeous. I would love to have them in my collection! So many inspiring ideas here & all totally amazing!! WHOOOHOOO! I just received my new watercolors today and I can’t wait to use them . I am just learning about watercolor so I plan on signing up for Jennifer’s new class! I am loving the watercolor medium lately, and would really appreciate winning a new set from you! So many beautiful new stamps sets. Love each and everyone of the items in this release….cant wait to order them and start creating!!! I love love love to water color! Thanks for bringing out this wonderful set!!! Love Love Love it all. Card making is so relaxing! I can’t wait to try these new stamps. Loving all the new products. Your floral stamps are so beautiful. Great detail. wow what an opportunity to win, love the new stamps. Great new release, love the block print set. Love all the new stamps and watercolor set! That water colour set is a perfect complement to the wonderful florals that Altenew has as part of it’s collection! Beautiful release! Love the background stamps and the new floral very much. Thanks for the chance to win! I love everything in the new release!!!!!!!!!!!!!!!!!! Floral stamps are my favorite! Vicky is my favorite, everything she does turns out beautifully! The large word dies are fabulous! I would love to win any of your products, I’ve been happy with everything I have purchased. I am obsessed with making cards. Thank you for allowing Vicky to Express her talent with your products. Your products are very vibrant and colorful. Looking forward to trying and having a set of stamps of my own. Thanks for such a wonderful product. 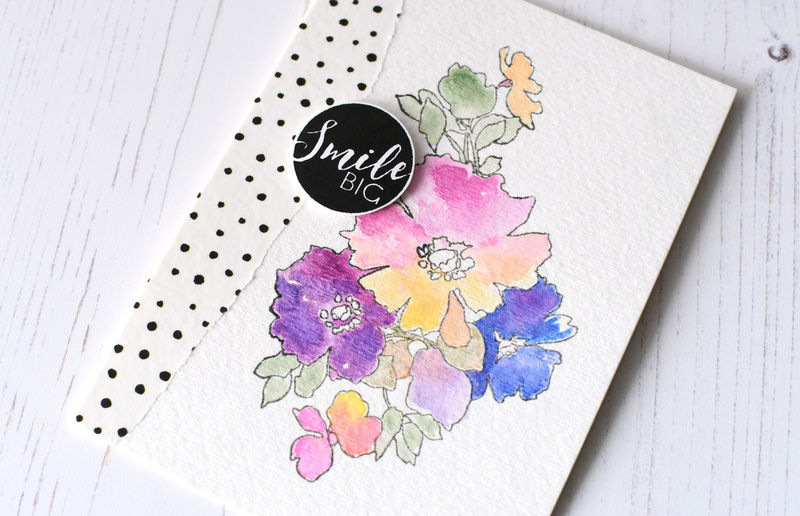 loving the watercoloured cards. so inspiring. I would love to win. Thank you…. One card is just as beautiful as the next. The colors used are gorgeous. The stamps are so elegant. Beautiful! today! I am a petsitter and I spend a lot of time away from home. It is small enough to put in my suitcase. Of course it will have good company in there with it.